We specialize in Radio ad production, Jingle production, Audio production & On Hold Messaging. Since 1999, our award winning radio spot production, creative audio production and jingle production has been the key to our clients “on-air” success!  Our Killerspots make your business sound like a million bucks. (No kidding! …just listen to our demo) We DO NOT do “rip-n-reads”! We are a dedicated radio ads team that strategizes with scripts, voice talents, sound effects and the right music to attract YOUR CORE AUDIENCE. We live and breathe radio spot production. Thousands of clients worldwide can’t be wrong. We even work with other Ad Agencies as their white-labeled production house! Any Industry. Any length, Any voice, Any language and at Anytime. Radio commercial ad production as easy as 1. 2. 3. If not, no problem! We will write one for you. No charge! Just send us some bullet points & we’ll take it from there. 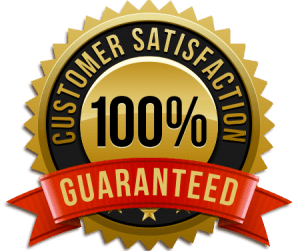 We’ll contact you to review the commercial. Need it SAME DAY or TOMORROW? Let us know. What if it needs to be tweaked? No worries! We will update it to make it perfect! Once completed, we will email it to you for approvals. Radio advertising is known as the “theater of the mind.” This is because the images created are ones that come from inside your mind. Though, with only 60 seconds to convey a message compelling your otherwise distracted audience to act, you can see why it is such an exciting challenge. The great thing about advertising on the radio is that it generates substantial bang for your marketing buck. In fact, when done properly, businesses can experience exponential growth within the first year or two. Businesses that use it experience tangible results in terms of metrics like brand visibility, website traffic, and overall revenue. Radio matters to businesses. It reaches more people than any other medium, is relevant in today’s culture, and is highly trusted by loyal listeners. Most importantly, it helps businesses grow their bottom line. You are front and center in the listener’s attention span when your ad is on the air. You’re never buried on page 42 and you’re never surrounded by your competitor’s ads. With radio, you are always on the front page. Due to the targeting potential, from access to the local community to the ability to address very specific submarkets using individual stations, a well-crafted message can provide the insight necessary to reach the right listeners – the individuals who likely will become customers. Once you know whom you’re talking to, it becomes much easier to determine an authoritative, trustworthy way to communicate. If you haven’t done so already, consider radio production as a way to reach more people. They’re an effective and efficient way to spread the word to a large number of consumers. Hearing is believing. Audio production is one of the best tools to tell your story to your audience. At Killerspots, we understand the importance of clean, professional audio services. Check out our Demos below! Voted #1. Audio Commercial Production house in the United States. *Other Agency and Radio stations welcome! Ready? Or do you need a quote for your radio production, jingle production, audio production, radio commercial, or radio ads?